The friendship formed by the poet Siegfried Sassoon with the literary hostess Lady Ottoline Morrell was among the most formative of his life. Begun by correspondence early in 1916 while he was serving on the Western Front, the relationship introduced Sassoon to the circle of pacifist intellectuals centred on the Morrells’ home at Garsington in Oxfordshire. This environment proved instrumental in crystalizing his strongly-felt but vaguely-focussed objections to the War into his famous protest and ‘Soldier’s declaration’ in July 1917. The friendship was cemented by an exchange of gifts. In the late summer of 1916, while recuperating in England from an illness contracted in France, Sassoon began to transcribe fair copies of his war poems into a blank notebook given to him by Ottoline Morrell. He titled this notebook ‘POEMS: by Siegfried Sassoon’. Perhaps as a gesture of gratitude, he compiled a further notebook with a similar title which he presented as a return gift to Morrell. Both of these notebooks are now in held in Cambridge University Library. The former was acquired in 2009 after a fundraising campaign supported by the National Heritage Memorial Fund, among others, and the latter was purchased this year with the assistance of the Friends of Cambridge University Library. A new display opening in the Library’s Entrance Hall highlights the two notebooks, and shows how they relate to other treasures from the Library’s Sassoon collections. Morrell’s first encounter with Sassoon’s poetry was reading ‘To Victory’ in a copy of The Times in January 1916; the poem was written shortly after Sassoon’s first arrival at the Front, and exhibits none of the scathing epigrammatic qualities for which his later war poetry is celebrated. 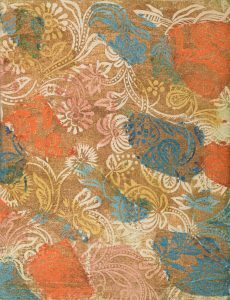 The exhibition includes a cutting of ‘To Victory’ from The Times which was pinned on the front free endpaper of the notebook which Sassoon presented to Ottoline Morrell. It may well be the one which she recorded having retrieved from a discarded copy of the newspaper, and which she had in front of her as she wrote the first passage on Sassoon in her memoirs. The two notebooks are on display side by side. The one presented to Sassoon by Morrell, now CUL MS Add.9852/6/2, was used by him to transcribe many of his poems written during the First World War. 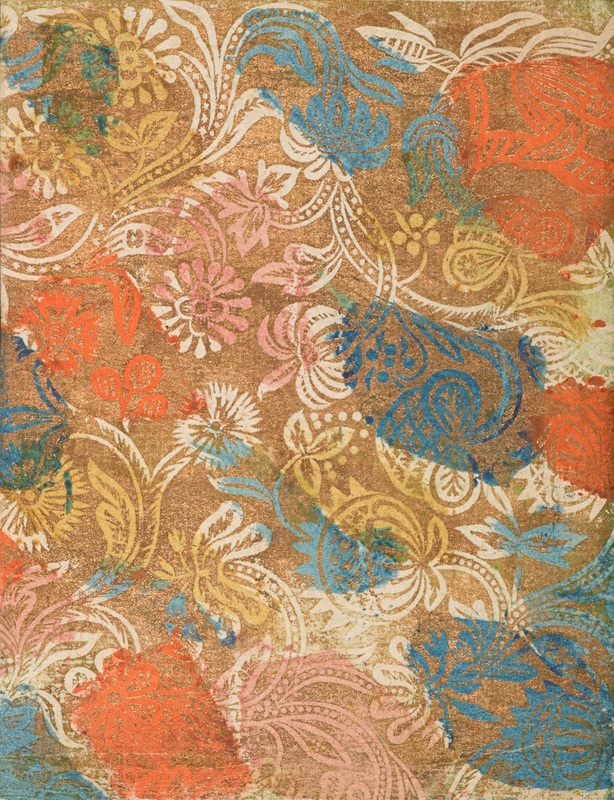 He described the volume in the final part of his autobiography, Siegfried’s Journey, published in 1945: ‘Beautifully bound in orange-vermillion vellum, with end papers of a brocade-like Italian pattern of blue and marigold entwined on a dim-gilt background, its hundred leaves of hand-made paper seemed almost too exquisite even for my most careful handwriting.’ The University Library acquired the notebook as part of a major accession of Sassoon manuscript materials which also included his wartime journals. It is opened to show an autograph copy of ‘To Victory’. The notebook Sassoon chose for his return gift, now CUL MS Add.10193, was smaller and less flamboyant in outward appearance than the one he had received from Morrell, but it was nevertheless a handsome production in its more austere fashion. 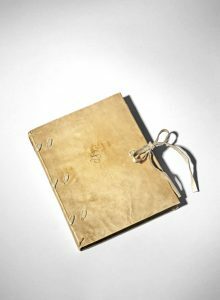 A volume of 66 leaves, measuring some six and a half by five inches when closed, it has a limp, laced-case natural vellum binding with a long lacing path and alum-tawed ties. It is opened in the display to show one of six full-page pen-and-wash illustrations which Sassoon executed in blue-black ink. The second in the sequence is displayed, with a caption, ‘Silence in the summer night’, taken from a line in Sassoon’s poem ‘The Death Bed’ which immediately precedes the illustration in the volume. Other Sassoon treasures featured in the display include two of his wartime journals, further manuscript pages found inserted in the newly-acquired notebook, and poems decorated by Sassoon with watercolour abstract and pictorial designs which resemble the last three entries which he made in the notebook presented to Morrell. 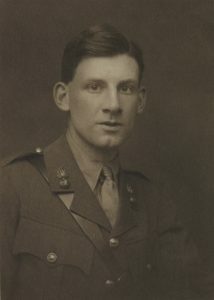 The exhibition, ‘Poems: by Siegfried Sassoon’, runs in the Entrance Hall of Cambridge University Library until 22 December 2017 during normal Library opening hours. For further information contact John Wells (e-mail: jdw1000[at]cam.ac.uk, telephone: 01223 333055). Both of the featured notebooks, together with much other Sassoon-related materials, are available in the Sassoon Journals collection in the Cambridge Digital Library.